I’m in Alaska! Our flight left Phoenix yesterday afternoon and we arrived in Anchorage last night. By the time we got our luggage and rental car it was almost 10 p.m. and it was still light outside! I knew it would be, but it still throws you off and is totally strange. Anyway, in celebration of our trip I pulled together ten fun/interesting facts about Alaska. Hopefully some of these are new to you and you can say you learned something today. If not…well, aren’t you a smarty pants! 17 of the 20 highest peaks in the United States are located in Alaska. Mt. McKinley, the highest peak in North America, is 20,237 ft. above sea level. Alaska is the largest state in the United States (it’s twice the size of Texas). 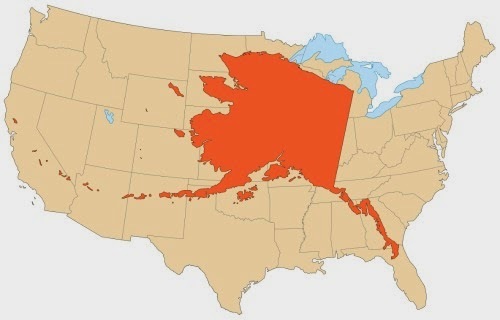 When a scale map of Alaska is superimposed on a map of the 48 lower states, Alaska extends from coast to coast. Juneau, the capital of Alaska, cannot be accessed by road. It’s currently only accessible by boat or plane! In Alaska it is illegal to whisper in someone’s ear while moose hunting. It’s also illegal to wake a sleeping bear for the purpose of taking a picture. 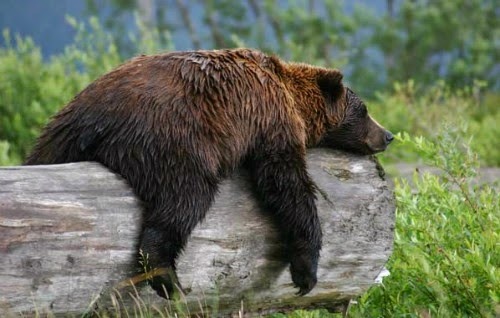 Although, I think the law is the least of your worries if you wake a sleeping bear! Alaska boasts the lowest population density in the nation at 1.3 people per square mile. If New York City had the same population density as Alaska, only about 30 people would live in Manhattan. There are more caribou than people in Alaska. Giant vegetables are common in Alaska due to the extremely long summer days. 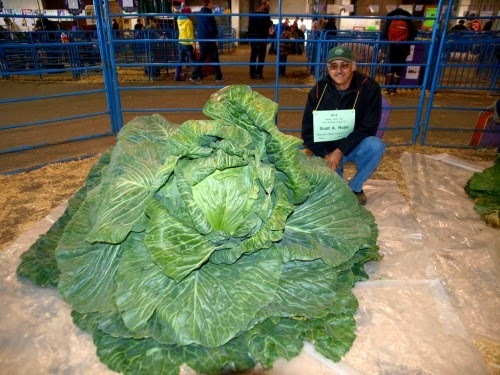 A world-record breaking, 138 pound cabbage was grown in Alaska in 2012. The previous record holder (126 lbs) was also grown in Alaska. Barrow, Alaska is located just 800 miles from the North Pole. Between May and August, the sun circles above the horizon, but never sets – also known as the midnight sun. The sun finally sets in November, but won’t rise again for another three months. There are approximately 100,000 glaciers in Alaska, covering about five percent of the state. 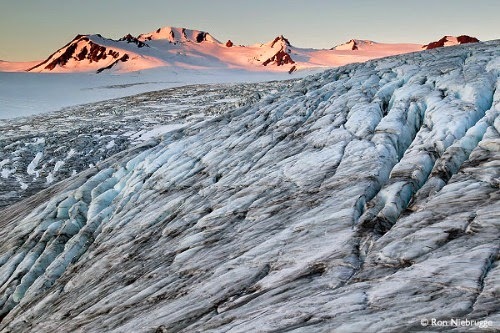 Alaska has more active glaciers and ice fields than in the rest of the inhabited world. Alaska has no native snake population. According to the Alaska Department of Fish and Game, the only native reptiles are 4 species of sea turtles. And for my single ladies - about 52 percent of Alaskans are men – the highest percentage of any state! I’ll be back next week with the first recap from our trip plus I finally crossed another item off my living room to-do list! Enjoy your trip. I have a ton of second cousins who live there so I'd love to get there someday. Can't wait to see your pictures.